Yamaha has finally recognized the potential of performance bikes in India. 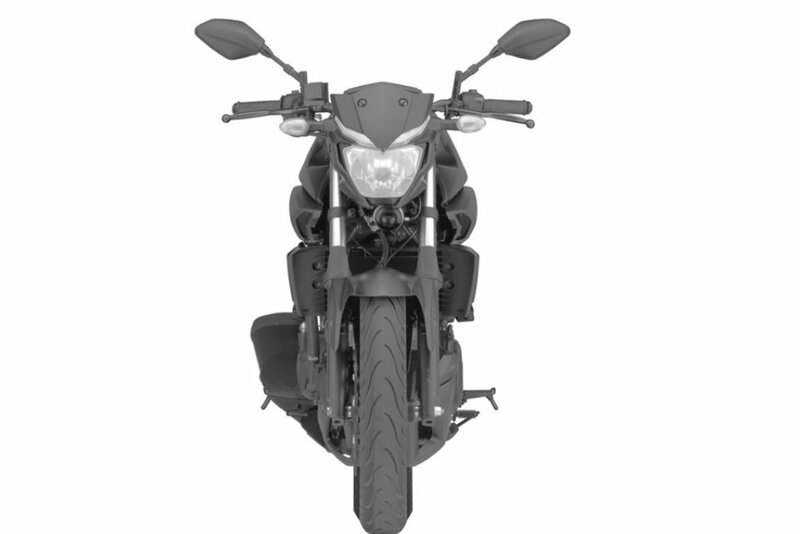 It is launching 320cc R3 on August 11 and the street version of the same bike in the first quarter of next year. We know this , because patent images of ‘MT-320’ have been leaked. Yeah. That’s what is is going to be called. 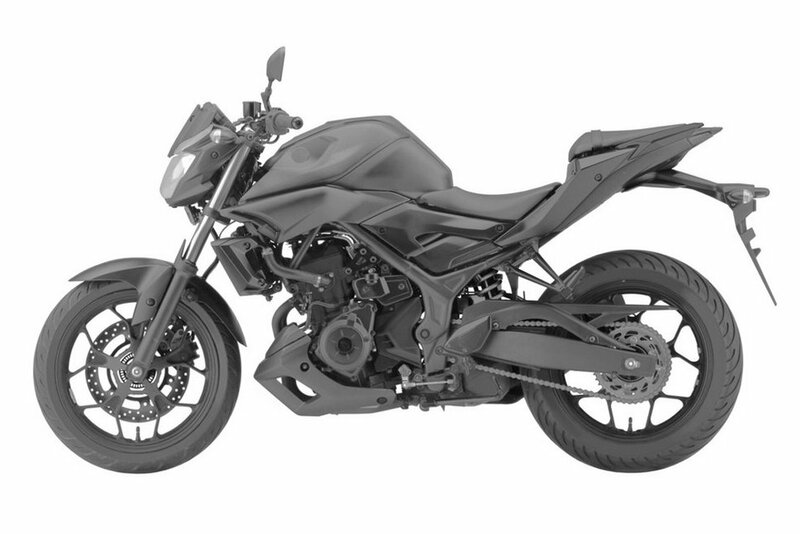 This is what the bike looks like and I am already convinced that it is going to be a worthy competitor to the KTM Duke 390 if priced around the 2.5 lakh range. According to previous speculation, it was christened MT-03. However, now we know that it is MT-320 which is more accurate representation of the engine size since it will house a 321cc motor which will do the duty on the R3 as well. The liquid-cooled, parallel twin engine has a maximum power output of 41 PS at 10750 RPM and a maximum torque figure of 29.6 NM at 9000 RPM which is transmitted to the wheel through a 6-speed gearbox. 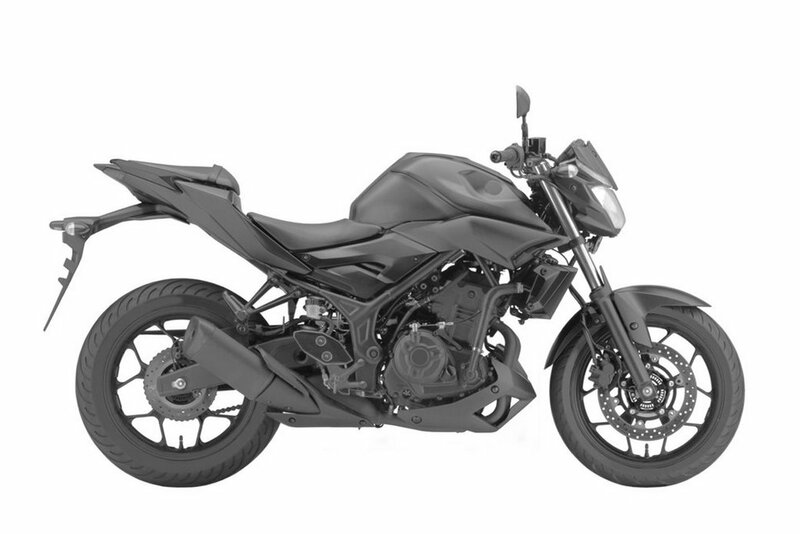 The MT-320 will be sold via the CKD units (completely knocked down) route, which will be manufactured in Indonesia and assembled at the Yamaha India plant located in Surajpur, Uttar Pradesh. Yamaha actually had the first movers advantage when they launched the R15 which was the first ever sports bike in true sense here in India. However with the competition moving in the coming years with technologically better higher capacity motors, Yamaha squandered the lead. Now, it is going to be a tough not to crack. Maybe localization and bringing the cost on par with the other bikes might give Yamaha the significant numbers it is hoping for.